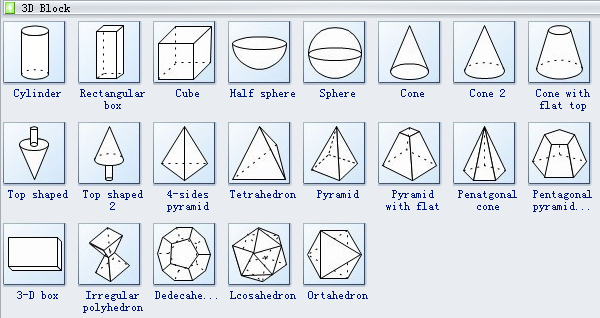 Pre-drawn 3D geometry symbols that support drag and drop use. These symbols help create accurate diagrams and documentation as soon as possible. Edraw has been striving to automate and simplify the design process as much as possible. Our symbols libraries aim to do just that, eliminating the drawing part of diagramming. Just drag and drop shapes from the libraries next to the canvas and edit them. This allows anyone to gain beautiful diagrams even without drawing skill. The vector 3D geometry shapes library lets you quickly browse and use shapes. You can export them into formats that work well for the web, windows, or Mac. Flexibly shareable with broad file format compatibility.